Chickpeas! Yes, you can do more than puree them into hummus. Before the chickpeas are roasted, they have to be dried well. Open the can of beans, drain the liquid, and rinse off the canning water. You can either place the beans on paper towels and pat dry, or spin them in a salad spinner till all the water is whisked away. Heat a pan over high heat and drizzle in just enough olive oil to coat the pan. 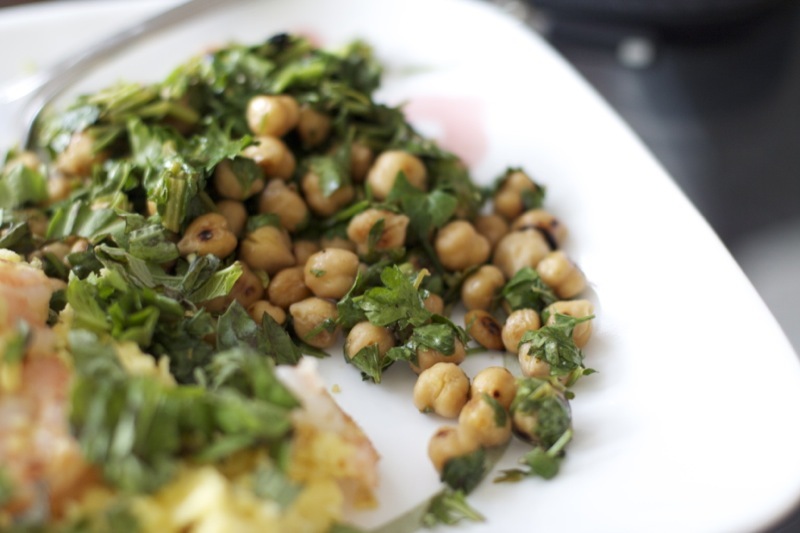 When the oil is very hot, drop in the chickpeas and toss to coat with oil. The chickpeas will begin to smell wonderful and will actually start popping and jumping merrily in the pan. Keep tossing so that they get evenly brown all over. This takes about five minutes. While the chickpeas are browning, zest the lemon. When the chickpeas are browned, toss in some salt and cracked black pepper. 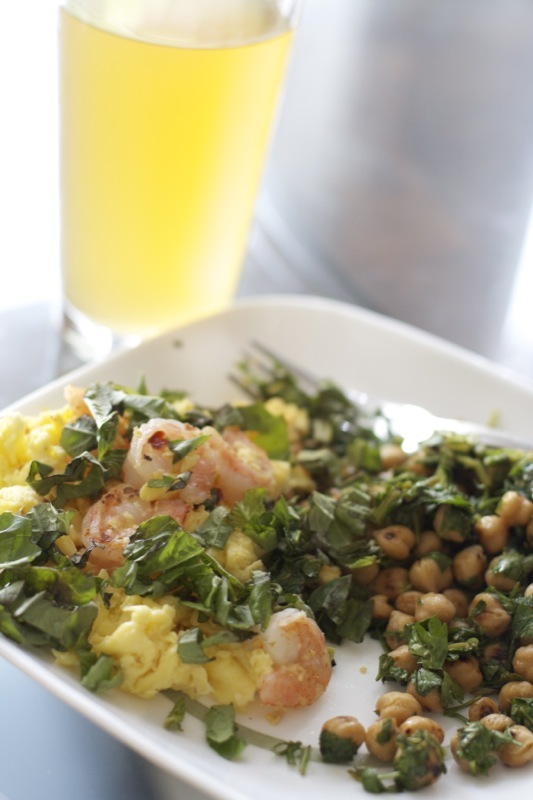 While still in the pan, squeeze lemon juice over the chickpeas. They’ll sizzle! Remove from heat and put the chickpeas into a serving bowl. Add the parsley and drizzle with a bit of fresh olive oil. It’s perfect to eat as a side this way, but you can also add some thinly sliced onions and chunked cucumbers and tomatoes. My daughter should have been named Chickpea because she loves them so much. In salads, in hummos, in chicken soup…. and I make a chickpea pesto. I bought some chickpea flower but I don’t think her chickpea love would extend to flour. I am going to try your recipe above and see how happy she will be. Thanks! Found your page by looking at Japanese furniture; which in turn linked me to Kitchn and then your site. I’m enjoying it! Oops – meant to type chickpea flour – not flower —- that’s a silly mistake.